Craig and I are pleased and proud to welcome our first Import Honour in to our home. AND WHAT A STAR SHE IS !!!! 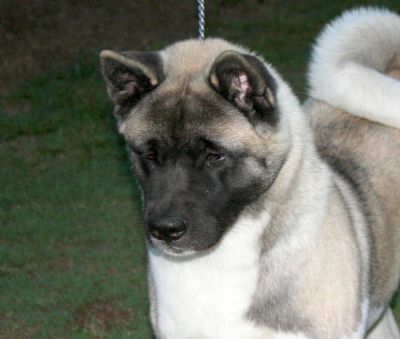 Honour is from the Famous Kodo Akita Kennels of Margaret Hippolite in New Zealand. Honour has the most beautiful headpiece and expression, with lovely bone and colour we are sure to have a lot of fun with this sassy and cheeky girl, Honour has personality plus with divine temperament and loves to make us laugh which she does daily !. Honour is a combination the very best of English and American blood lines in the world. 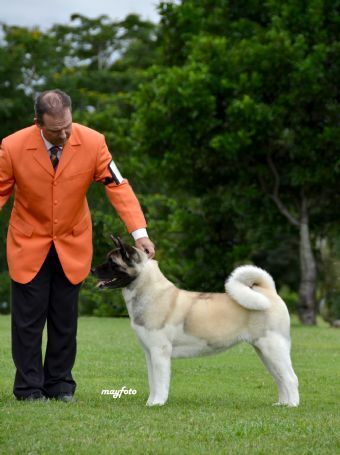 Honour's Dam is the Beautiful Redwitch Show Me Heaven "Halo" and her sire is the Magnificent Am Ch Regalia's Loaded For Bear "Hunter"
We can't thank Margaret enough for sending us this very special girl and we look forward to having a lot of fun with Honour. Honour was awarded Baby Puppy In Group At Her First Show !! Honour is a Consistent Best Of Breed winner and Multi Runner Up In Group Winner with many Class In Show and Class in Group Awards !!! 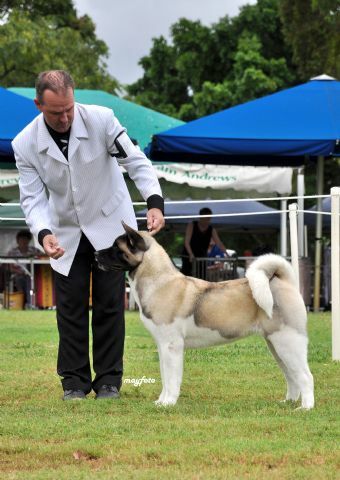 On the 9th of January Honour Qualified For the Puppy Of The Year Final In Queensland!!! Main photo Honour at 3 years by Mayphoto in 2012 Head shot by Malisa Side view taken at 31/01/2010 at 9 months by Mayfoto winning Junior In Show and RUIG Thankyou Gaille and Paul.